1. Gain time for prevention/mitigation: Seconds and minutes can count in emergency situations. Active monitoring and a consolidated situational capability can get you that time. Prevention worth far more than recovery. 2. Protect lives and property: Monitoring your organization 24×7 can give you added information to prevent/mitigate and recover from breaking situations. 3. Monitor your brand/reputation: Become aware of what just happened on YouTube concerning your primary product. Monitor your brand on a large global set of information services. 4. Monitor your key competitors and suppliers: Learn a competitor just acquired your critical supplier? That typhoon in the Pacific is going to delay critical shipments. 5. Increase organizational continuity: Monitoring and taking action on emerging threat situations can keep the bulk of your organization on target versus dealing with distraction/disruption. 6. Consolidate internal, redundant, fragmented efforts: Reality is, you have people throughout your organization searching every day for different threat and news items that concern them, but not sharing effectively. This is costing substantial hidden dollars for marginal results. 7. Advance disruption notice: Knowing what is upcoming and planned may help you avoid shortfalls; for example, if you are located in DC and there is a major protest planned for next Tuesday, you can take proactive steps. 8. 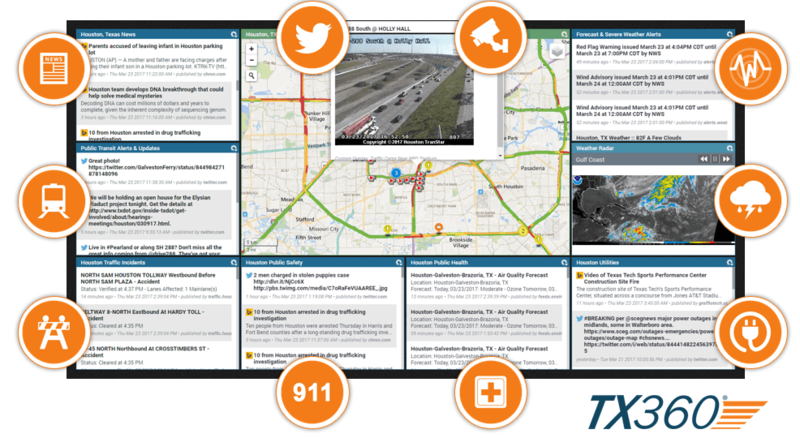 Leverage new information sources: There are new information sources that could give you increased situational awareness—not just news, but sensor alerts, intelligent video alerts and much more. 9. Black Swans: If a major incident occurs, the same tools you used for proactive situation awareness effort can be redirected to the immediate, no-notice situation; gathering information from multiple sources, enhancing organizational communications and sharing with other involved parties. 10. Surge partners: Today, staffing 24×7 for any emergency that might happen is not cost effective. Having a strong monitoring program can give you the time to get partners underway with helping you resolve critical issues.